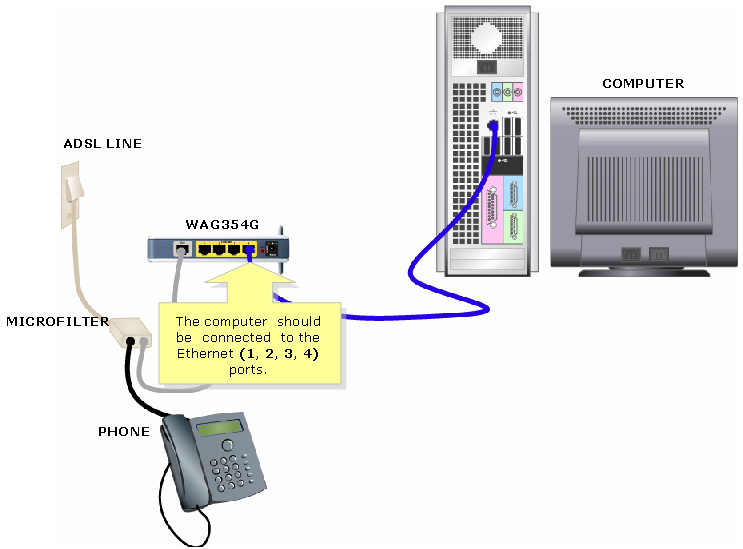 The ADSL Line and LAN ports, where the phone cable and the computer will be connected, are located at the back of a Linksys gateway. 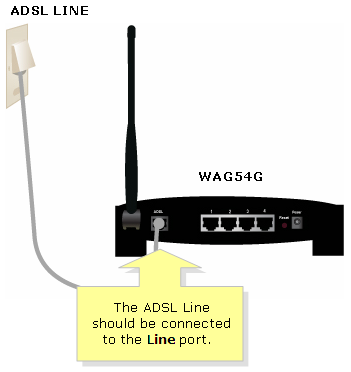 The ADSL line should be connected to the Line port and the computer should be connected to any of the available numbered Ethernet ports. 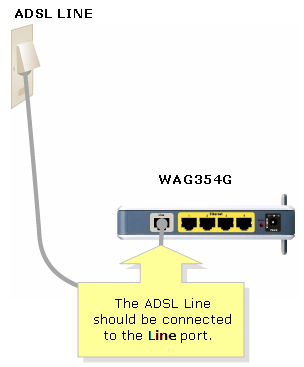 NOTE: Instead of the Line port, the X2000 and X3000 has the DSL port. 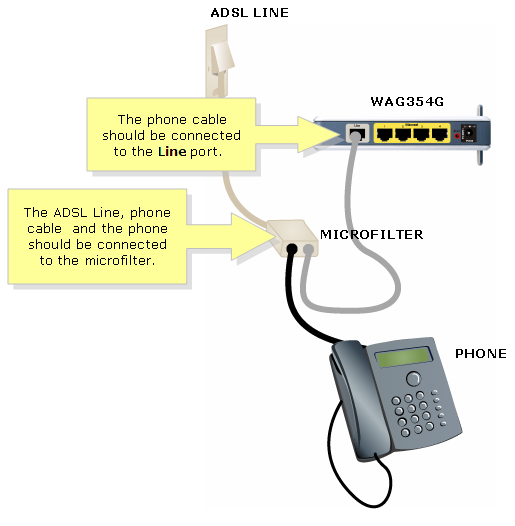 Connect the phone cable to the wall jack with ADSL service and then connect the other end to the Line port of the gateway. NOTE: In case the image above is different from the device you are using, refer to your device’s documentation. 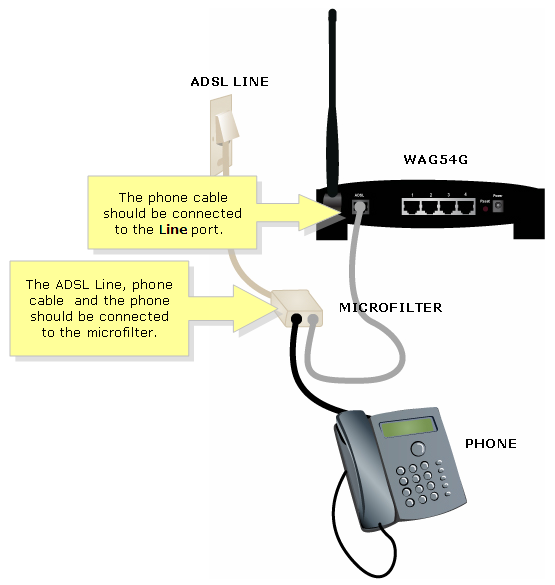 If the gateway’s package comes with a microfilter or a splitter, you may need to place it between the phone and the wall jack to avoid interference as illustrated below. NOTE: If the image above is not similar to the one you are using, refer to your device’s documentation. 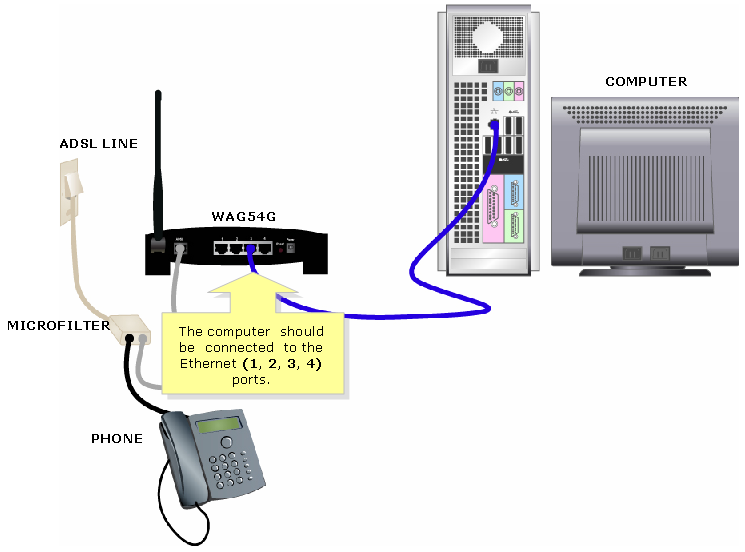 Connect your computer to any of the numbered ports on the Linksys gateway. Plug the power adapter to the power outlet. 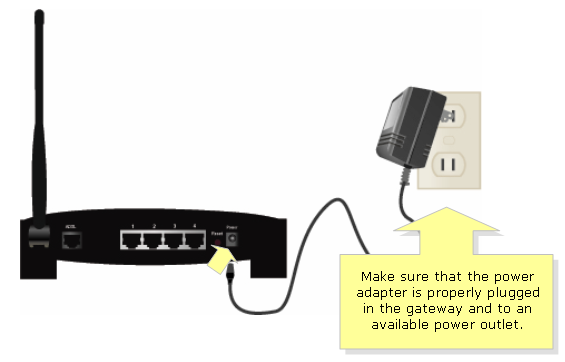 After connecting the devices together, check if the lights on the gateway are lit. For instructions on how to do this, click here.